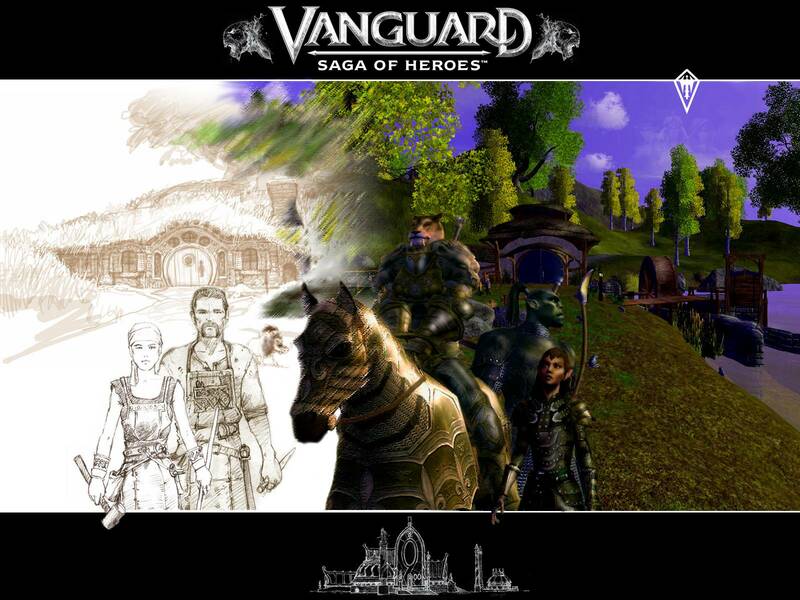 Vanguard: Saga of Heroes is a fantasy, massively multiplayer online role-playing game set in the vast world of Telon, an ancient world of magic, intrigue and adventure. You will traverse a breathtaking landscape on the back of a dragon while exploring the grandeur of a world designed by the seminal fantasy artist Keith Parkinson. Create and customize your character from 19 races and 15 professions. Battle fierce opponents with a groundbreaking, dynamic combat system that forces you to react to your opponents as you tie together devastating combinations of attacks. Facing the challenges of a war torn world, the diverse people here struggle to rebuild their once great civilizations. A fragile alliance has been struck, and with the lands set upon by invading forces, the races must band together to survive. Telon is in desperate need of heroes. Your journey begins now. No Boundaries: Explore an epic seamless world. From the smallest dungeon to the highest peak, if it can be seen it can be explored. Limitless Customization: In a world of thousands, carve your own unique destiny and appearance with an unparalleled character creator and by choosing one of 19 different races from Orcs and Goblins to Dwarves and Elves. Forge Your Own Path: Choose from one of 15 exciting classes including Paladin, Ranger, Sorcerer, Psionicist, Bard and Rogue. Immersive and Interactive: Vanguard's unique, dynamic reactive combat system allows you to build chains of special attacks and reactions with Openers, Bridges and powerful Finishing moves. Ride or Sail around the World: With dozens of unique mounts to collect, you can race into battle on your warhorse, command the skies on the back of your dragon, or join friends and embark on a sea-based adventure to discover faraway lands. Play Your Way: Advance your character as an Adventurer, create items as a crafter, talk your way to the top as a diplomat or do all three with the same character. Open Market: Collect essential materials and use skills such as blacksmithing, alchemy and shipbuilding to create valuable and powerful items to sell in your shop. Home for Sale: Make Telon feel like home by staking your claim on a piece of land and furnishing your own house with unique items. Combat is a no holds bar match to the death (ok you can run away too but where's the fun in that?) which ends with either victory resulting in experience and loot or your death and recovery of your tombstone. Adventurers approach combat with a large variety of spells and abilities at their disposal that help give them a tactical advantage against their enemies. Some of the denizens of Telon are too powerful for a single adventurer to fight on their own so it is often necessary to group up with other adventurers in order to bring down harder enemies because they have better loot. For many of the more difficult targets adventurers will have to take certain specialized roles in order to effectively fight against the strongest bad guys. Some classes are capable of fulfilling multiple roles leaving it to the player to choose how best to help their group. Brotherhoods make one of the most unique and player empowering features in Vanguard. When players join a brotherhood they will share all experience gained between all members of the brotherhood. It doesn't matter if players are online or offline, standing next to each other or spread across Telon, if they are in a Brotherhood all EXP will be shared evenly allowing multiple characters to always stay at the same level while leveling. This allows a group of friends to play Vanguard and always be the same level no matter if they are always able to play together no matter their play style.